RIVIERA MAYA — Located on Mexico’s crystal blue easternmost shores, the trendy Hard Rock Hotel Riviera Maya is increasingly focusing on wellness by rolling out fitness-focused products and offerings that masterfully integrate music and wellness to help guests achieve Rock Star zen. “The wellness programs are overarching for the Hard Rock brand. However, placing these in the all-inclusive setting brings guests the opportunity to craft the perfect wellness getaway whether they are travelling with family, friends or solo,” says Carilis Felipe, AIC Hotel Group, Director of Field Sales. Travelweek got to see and experience the resort first-hand as part of a recent press trip. 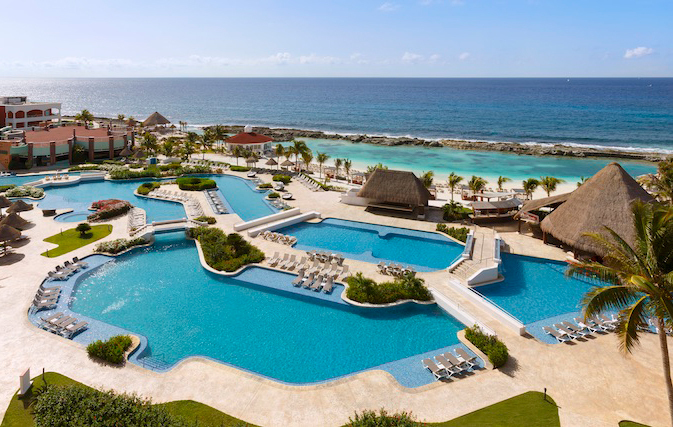 With a combined 1,264 stylish rooms, the Hard Rock Hotel Riviera Maya offers guests two experiences within one resort: the family-friendly Hacienda side and the adults-only side, aptly named Heaven, with programs designed to offer a flexible approach to feeling good while on vacation. Guests of all ages will gain inspiration, knowledge and experiences they can incorporate into their daily wellness routine long after their vacation has ended. At Hacienda, an endless array of activities will have families splitting their time between traditional holiday adventures and fitness-focused activities. There is a Kids Club, The Cavern teens lounge, Rockaway Bay waterpark, rock climbing, zip lining, pools (including a lazy river, water slides and swim-up bar) as well as snorkelling and kayaking in the protected natural sea coves, perfect for a peaceful ocean swim, too. Over at the property’s brand-new 29,000 square foot Woodward Riviera Maya, the first action-sport purpose-built facility in Mexico, everyone in the family can put away their screens to enjoy a variety of high-energy action sports programs. There’s skateboarding, BMX, scooter, parkour, gymnastics, cheer and dance, in addition to indoor dry land snowboarding and skiing with ParkBoard and ParkSki training equipment. The outside of the facility also features the one-of-a-kind Woodward WreckTangle themed ninja obstacle course. 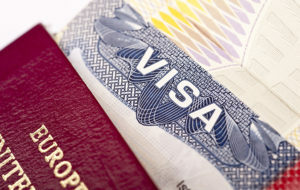 All training equipment is included in the entry pass, available by the hour, day or week. At the ‘resort within the resort’, the adults-only section Heaven, guests will experience top-notch amenities and luxury that make everyone feel like Rock Star Royalty. For clients who want to splurge a little, the Deluxe Platinum Sky Terraces are a must. The luxurious two-floor suites come equipped with a plush king bed crowned with a silver headboard (how’s that for rock loyalty? ), a private oceanview balcony and a large Jacuzzi on a private rooftop terrace. With 24-hour room service, ask staff to prepare the hot tub to soak and sip cocktails under the stars. For some adult fun, there is the premium service nightclub and seven sophisticated bars and lounges. From the Rock Om in-room yoga program to the brand’s collaboration with global fitness leader Les Mills, to the Rhythm and Motion spa treatments that incorporate music and amplified vibrations, Hard Rock Riviera Maya offers a unique approach to wellness. And with 75 treatment rooms and a hydrotherapy circuit, the hotel’s Rock Spa is billed as the largest spa in the Caribbean. For guests looking to indulge their culinary palate while still maintaining healthy eating habits, select restaurants offer healthier culinary options through the hotel’s Fresh Fix program, developed in collaboration with Mexican-born graduate of Le Cordon Bleu in Paris, Chef Karla Hernandez. Clients can also choose to participate in an indigenous wellness experience with the onsite Temazcal. “Temazcal is another component of our wellness amenities which allows our guests to connect with the local culture in a spiritual mind, body and soul cleansing ritual led by a Shaman,” says Felipe. The property also boasts the first Hard Rock-branded golf course in Mexico – the Hard Rock Golf Club Riviera Maya. The 18-hole course, built amongst the lush foliage of the Yucatan Peninsula, and clubhouse reflects Hard Rock’s music culture and iconic vibe throughout the course and entire golfing experience. Guests can channel their inner rock star with popular programs such as Music Lab and The Sound of Your Stay. And in summer 2019, Hard Rock Hotel Riviera Maya will be debuting the KIDZ BOP Experience. KIDZ BOP, known as the No. 1 music brand for kids, allows kids six to 12 years old the chance to live out their pop star dreams with KIDZ BOP themed activities. 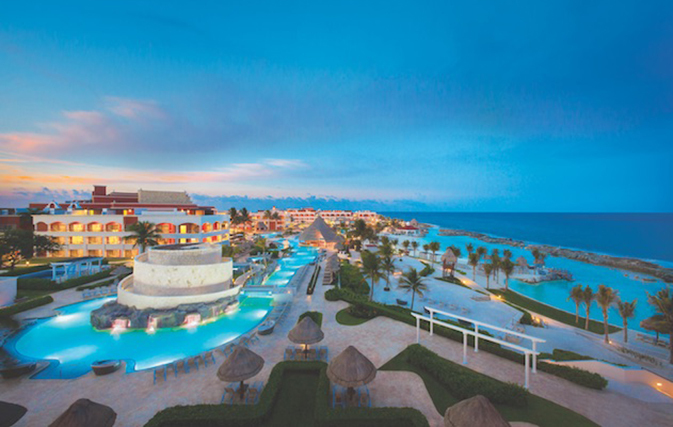 “Hard Rock Hotel Riviera Maya is the ultimate relaxation destination for Canadian travellers – music lovers or not – and with our Limitless All Inclusive Promotion guests can enjoy endless pampering at our Rock Spa or Posh Beauty salon, and unlimited rounds of golf for only a 25% service fee. What better way to relax? !” says Sarah Smith, Regional Director of Business Development – ON, MB, SK. 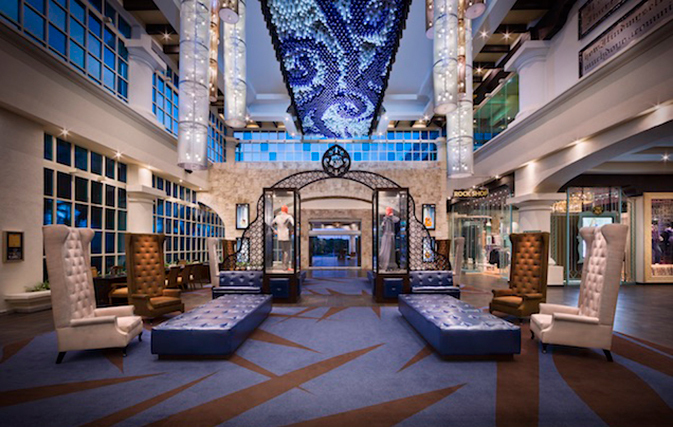 With the brand new limitless all-inclusive program, guests of Hard Rock Hotels receive rock star quality amenities and experiences with zero limits on any one service. Guests can choose from select off-site tours and on-property activities including Rock Shots Photography, romantic private beachfront dinners, and other additional experiences for only a 25% fee of the total cost of the activity. The combination of options is unlimited, allowing Hard Rockers to mix and match amenities and make the most of their vacation experience. Complete with outdoor pools and private beach, the all-inclusive Hard Rock Riviera Maya offers nine world-class restaurants, 10 bars and lounges, in addition to 91,556 square feet of meeting and event space ideal for elegant banquets, themed parties, weddings, concerts and more.